What is on your fruit??? So before you dig right in and take a bite of any fruit or veggie, you should wash those pesticides off. 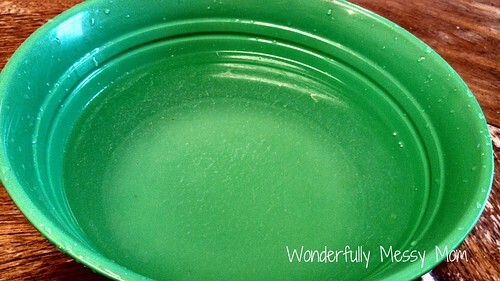 You can buy a veggie wash, but a simple and very effective wash is using white vinegar. 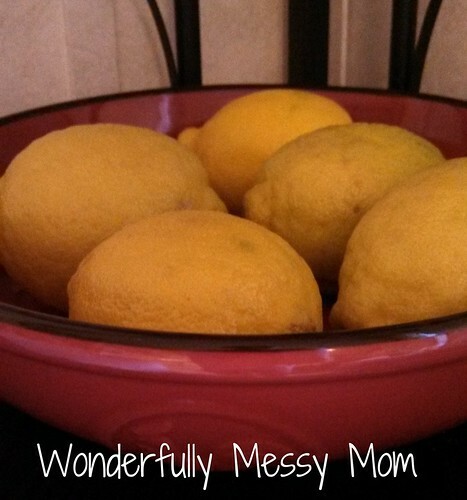 So here is a quick soak recipe that I found to be very helpful...while looking at the pictures, look closely...you will not like what you see...these are after I soaked my lemons for 10 min. This view is better. 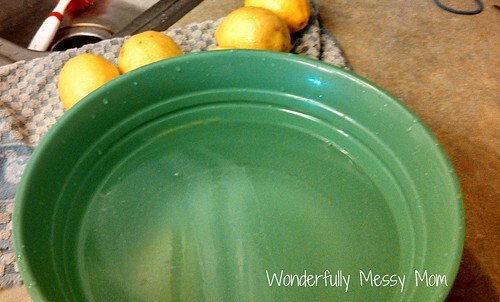 All that floating in the water came OFF of the lemons after 10 minutes of soaking. 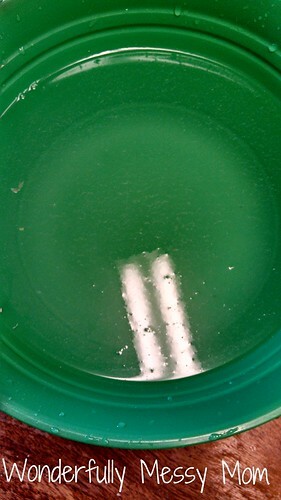 I wanted to give you a better visual with direct light on the water...see all that yuckiness!!?? I don't have a clue what that is, but that is nasty!! Now that I have your attention, do you want to know what the recipe is?? then add 1/3 cup while distilled vinegar. Yup, that's it...it's cheaper than buying the veggie wash from the store and just as effective! !